So, you are running an internet marketing campaign through which you are managing to get high ranking over search engines like google, bing etc. and growing traffic. Everything is perfect until one day Google pops up the news “We have a new update!” This is when the whole situation seems to flip. What follows is a series of despairing news. 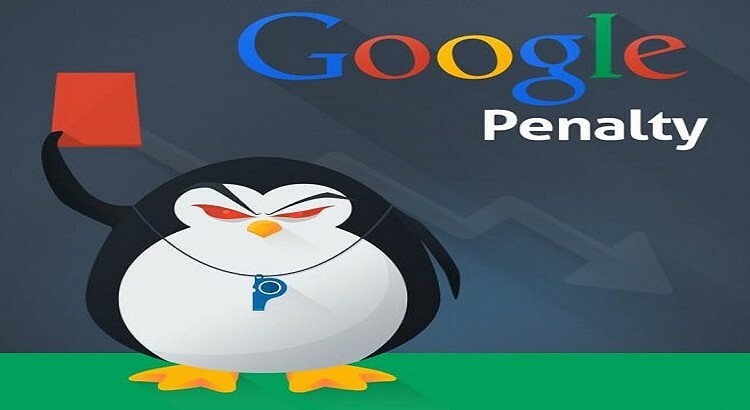 While for some it leads to the marginal loss in ranking, some might face the situation of getting Google penalty in SEO. This is probably why “Google algorithm update” is often associated with panic, frustration, and despair. Seeing how hard some sites have been hit in the past by fate-changing updates such as Google Panda, most of the websites dread the thought of an update coming ahead. The thought of watching your established business strangled by some update is horrifying, which is why it gets essential that you find some way to deal with the Google’s frequent changes. Guest Posting: We all know how good is guest posting for link building. However, you will have to make sure that it is not the only strategy that you are following for the purpose. If you wish to keep distance from Google penalties, you will have to maintain a natural looking link profile. In case, your site is getting links form a single source, you are in deep trouble. You are risking your site as Google will diminish the links coming from guest posts, especially because guest post links are quite easy for Google to notice. As a solution, you need to restrict the guest post links to not more than 20% of the link profile. Relevancy aka LDR: Google has been lately emphasizing more upon LDR (Link Domain Relevancy) than factors such as PageRank. LDR for a website specifies if the website is linking to sites from same niche. In case, your site has links to sites that have least or nil relevancy to your site, then you are at the maximum risk of getting hit by another update. Make sure that at least 30% of the links that you are utilizing are from a relevant niche. Brand Matters: Undoubtedly, Google has always shown boundless love for renowned brands. Not only do such brands rank well but also manage to stay away from the negative limelight of penalty. So, your task is to make yourself an ECommerce brand. You do not need whopping capital for same. All that you need is a legit looking site, a brilliant social media strategy for wide presence and focus upon brand search. Spamming Socially: If you are relying upon fake Facebook likes, fake twitter followers and phony tweets for building a social presence, then you are taking yourself a step closer to getting penalized. There are quite high chances for Google to come up with some updates where Google bans all those sites that are spamming social signals. Always remember like with backlinks should be quality prone and not quantity based. Other than these basic things, do not forget to check out the infographic from Quicksprout that covers some actionable tips for avoiding the penalty. We hope this simple guide plus infographic would help you save yourself from the headache caused by an unexpected penalty. P.S. To know about the recent updates, checkout our post, Checkout What Google, Bing & Apple Are Up To: Latest Updates.